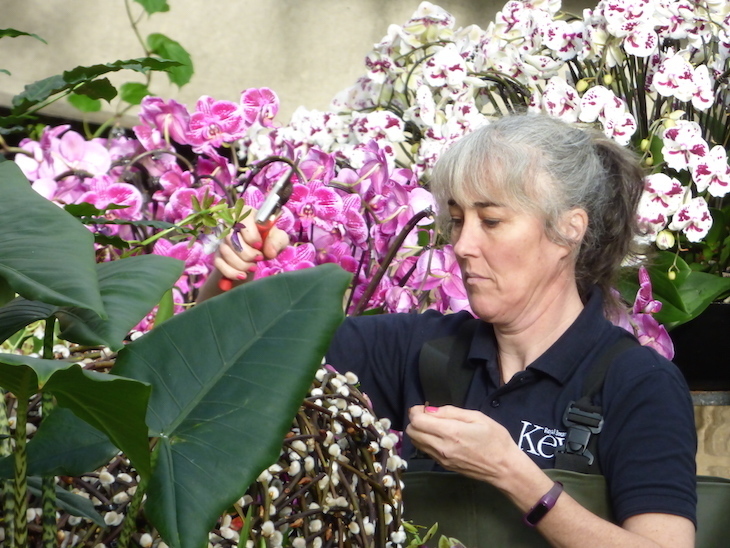 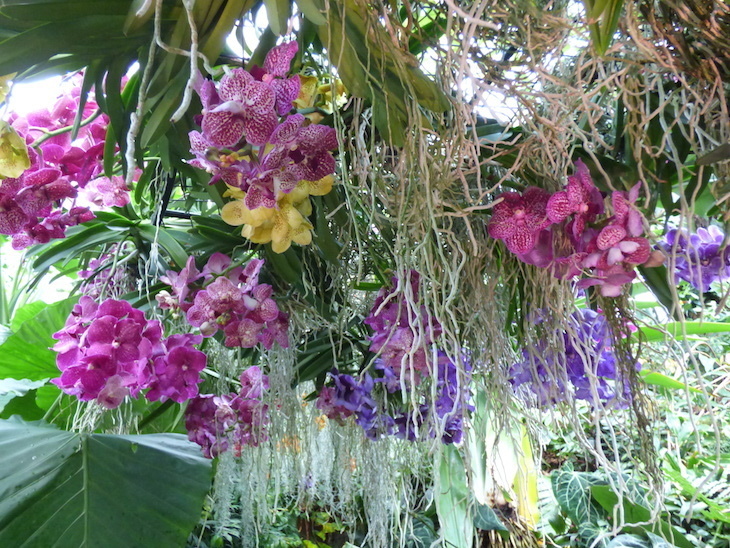 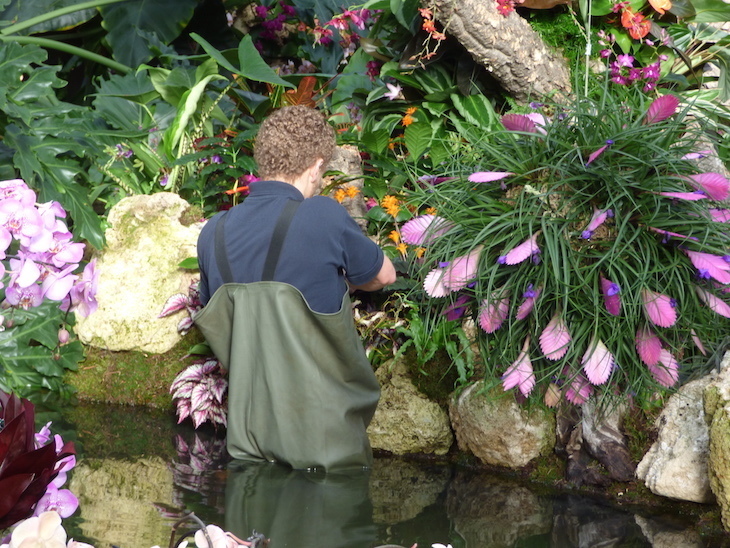 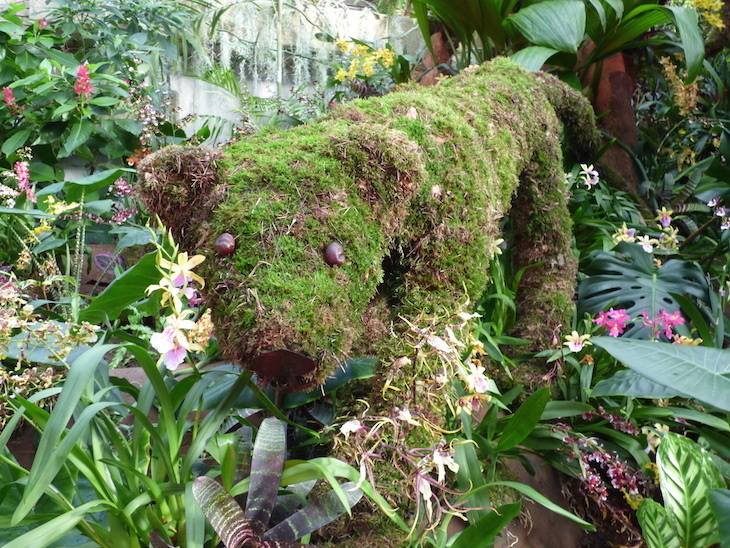 6,200 orchids have been installed at Kew Gardens for this year's Orchid Festival. 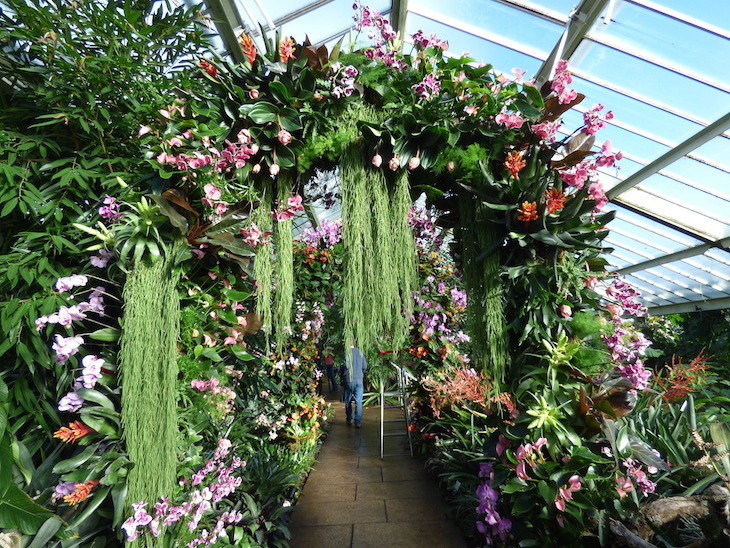 The Princess of Wales Conservatory is awash with the flowers for the next month, which were put together over 30 days by 100 staff. 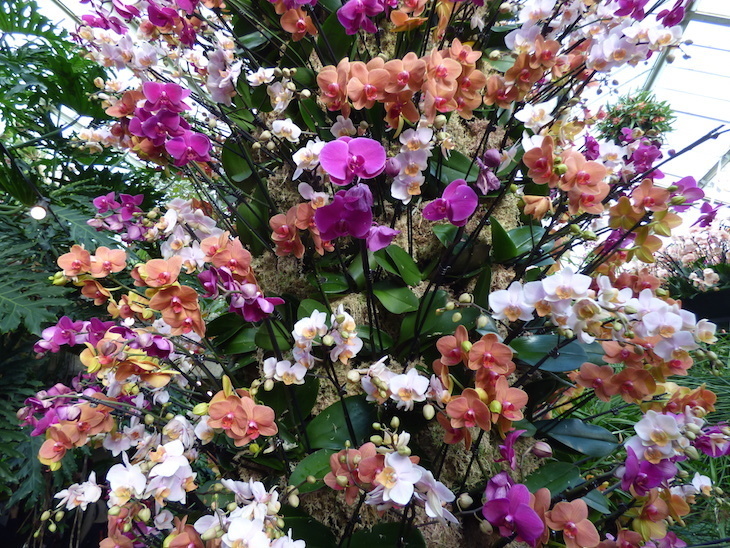 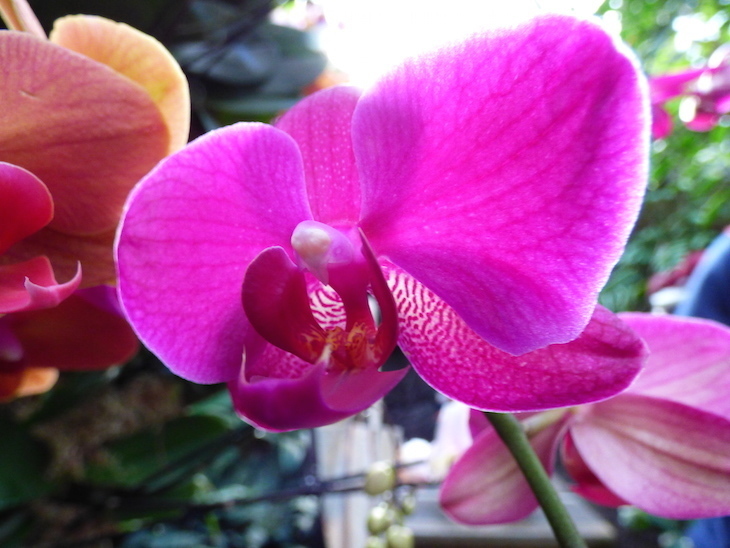 Colombia is the theme of the festival, with orchids from the South American country taking centre stage. 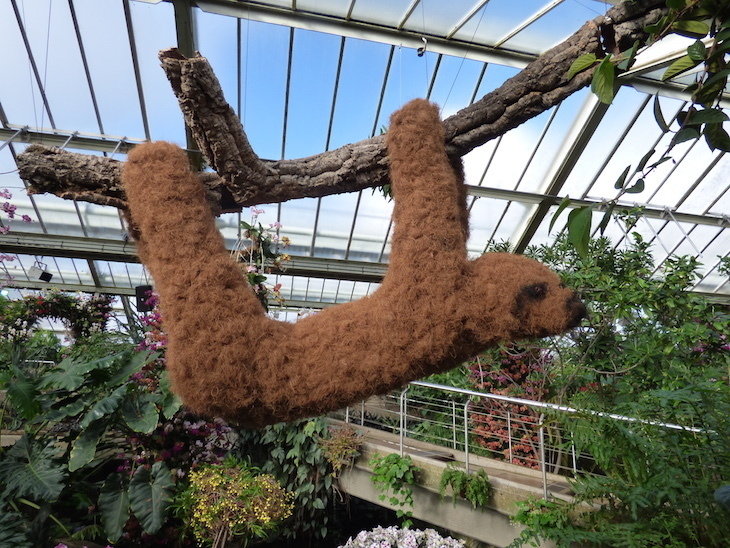 Animals from Colombia, including jaguars, a sloth, a toucan and a turtle, have been recreated in fauna. 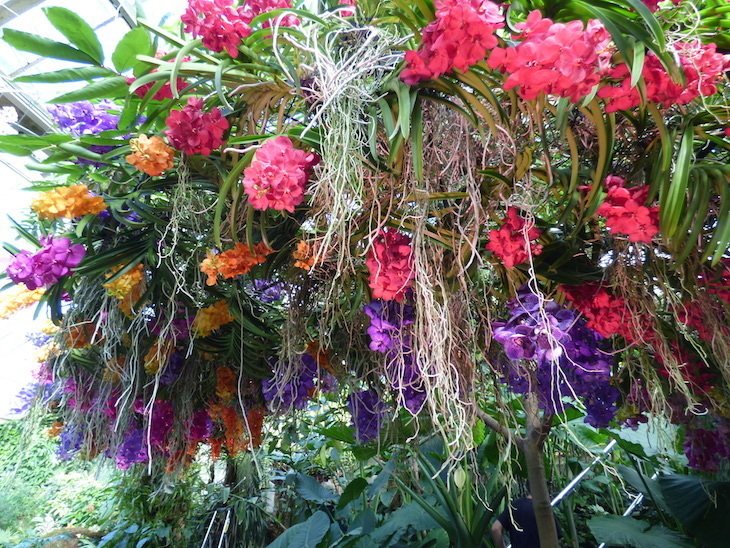 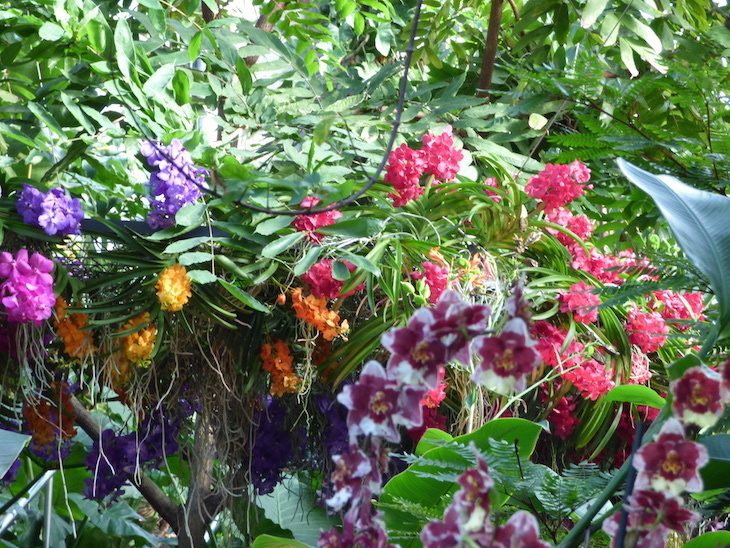 Colourful arches of flowers adorn the upper walkways of the tropical greenhouse, while downstairs, hundreds of vivid vandas — a type of orchid — hang from the ceiling to represent Colombia's 'rainbow river'. 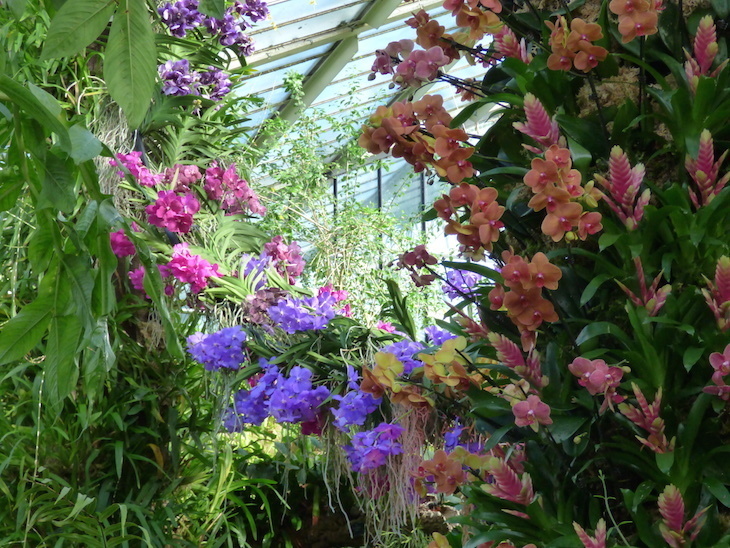 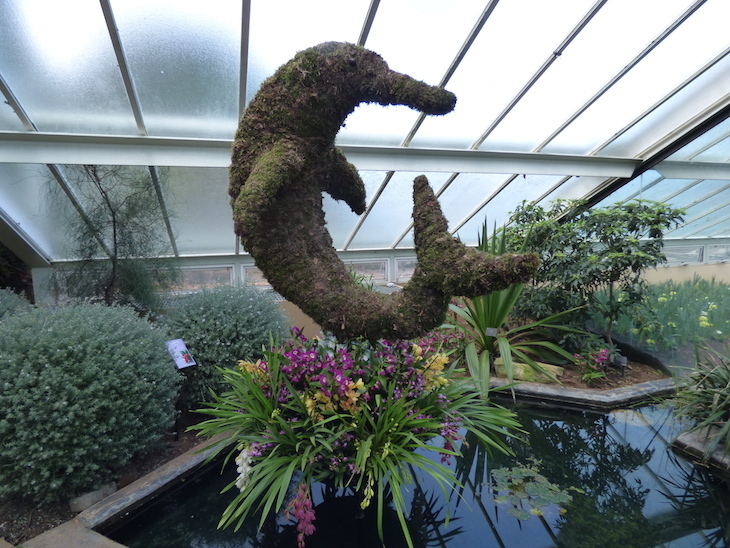 Kew Orchid Festival 2019 is in the Princess of Wales Conservatory at Kew Gardens, 9 February-10 March 2019. 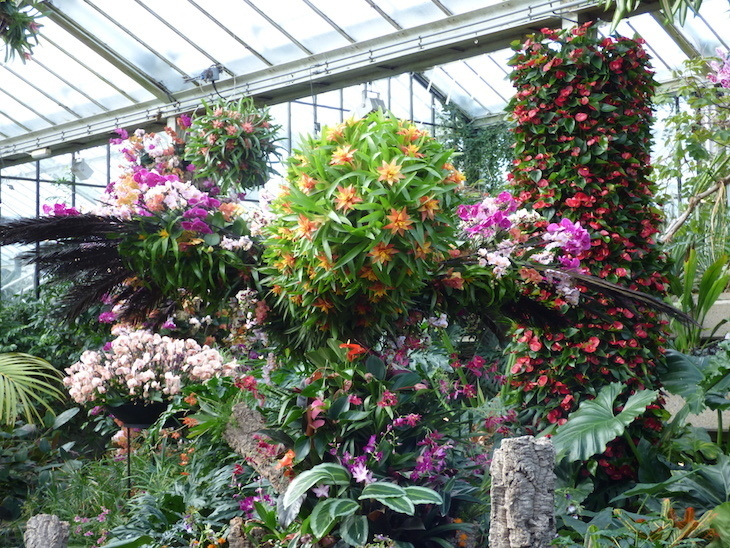 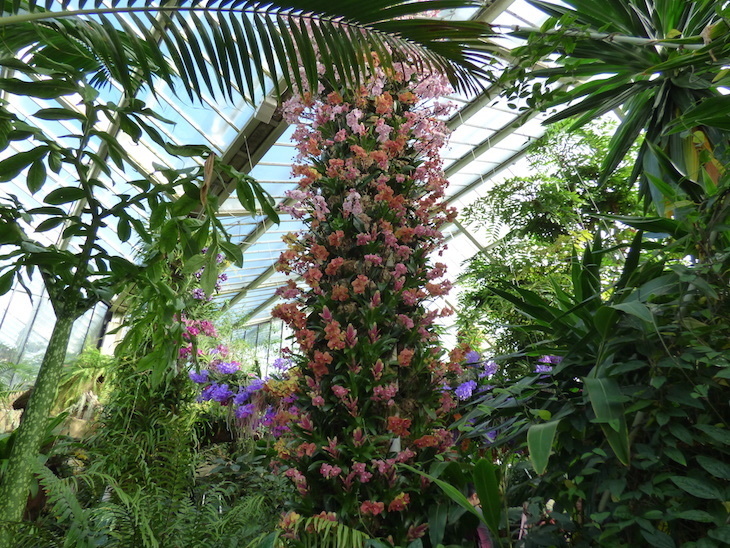 It is included in the cost of admission to Kew Gardens. 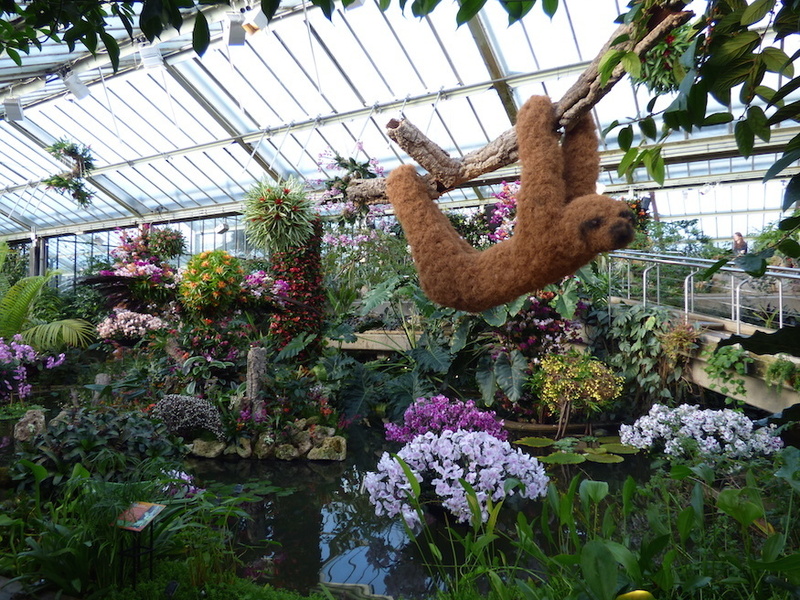 We'd recommend avoiding weekends and half term if possible.